A Joe Nunn design with Boller and Chivens manufacturing with multi TV cameras. Mechanical Azimuth and Elevation positioned the TV camera mount. The multi-cameras rectangular support ring was motor driven to monitor track launched missile objects. 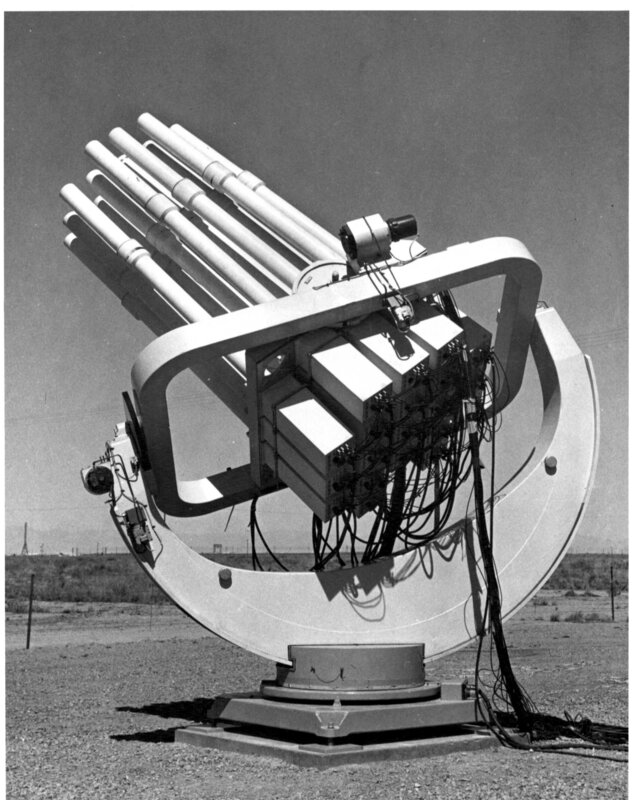 Twenty-five television cameras mounted together would track the launched missiles.